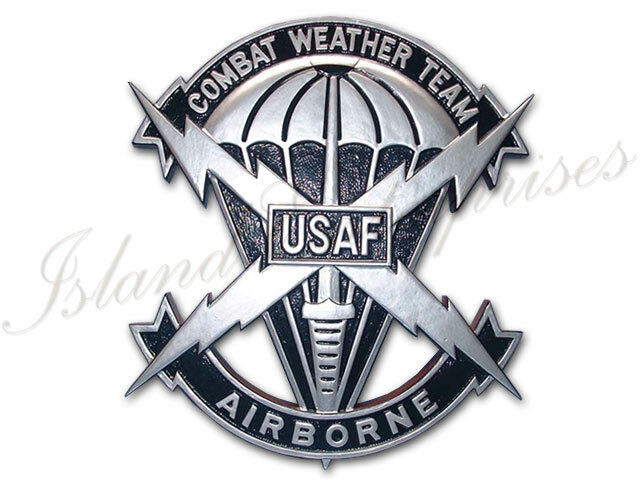 This Combat Weather Team cut-out is beautifully hand carved and hand-painted. Most peoplethink they are machine made. Our artists and carvers can create areplica of any logo, patch or drawing you send us. Andremember, we offer a 100% money back guarantee if you are not totallysatisfied that you've bought the best product available on the market.